Supervised and lead the training of all navigation evolutions, and ran the ship's administrative division. Provided safe navigation of the ship on its Eastern Pacific Deployment that included passage through the Panama Canal and visits into 7 foreign ports. Hand selected by the Commanding Officer to lead the ship through Navigation Certification during intensive inspection cycle. Acted as a critical strategist in mission planning during deployment in support of the war on NARCO-Terrorism. Spearheaded the recovery of 5.5 tons of cocaine at sea after witnessing an explosion of a vessel. Alerted Command as Officer of the Deck, and guided the ship to station where ship's company salvaged wreckage. Mentored 6 Quartermasters, of which 4 advanced to 3rd Class. Managed, and was responsible for the performance and disciplinary actions of 11 personnel. Supported the ship's mission as the platform for Theatre Ballistic Missile Defense and SM-3 missile Testing. Lead division through INSURV inspection receiving the best score of a cruiser in 5 years. Selected to act as Liaison Officer for visiting Australian ship. Planned and coordinated events. 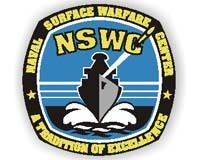 Qualified as Officer of the Deck at sea and received Surface Warfare Qualification. Oversaw the qualification of the Electrical Safety Program that included organizing all personnel, electrical devices, and ensured the CPR qualification of 1/3 of the crew. "Expert in Planning & Management of Projects that Optimize Efficiency, Productivity & Profitability"
Performance-driven executivewho offers a background that demonstrates progressive leadership and problem-solving in all aspects of operations management. Utilize strong strategic, tactical planning, and organization skills to increase performance, and improve results. Master of Business Administration candidate (finance emphasis), from the Graziadio School of Business and Management, Pepperdine University. Developed metrics to improve the performance of field managers and supervisors that increased productivity and resulted in a savings of $300,000. Generated $40,000 in savings by improving field efficiency by 11%. Received first ever Directors Award for Performance as #1 Field Manager in the Western Region in 2007. Ranked #1 of 10 Ensigns on USS Lake Erie. 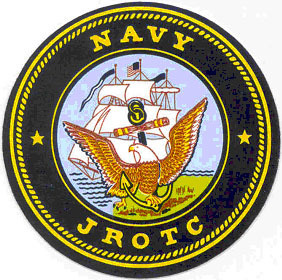 Selected as #1 Midshipman in ROTC 2001 graduating class. Awarded two Navy Achievement Medals for exceptional service through two shipboard tours of duty. Publicly traded (NASDAQ: LOJN), premier worldwide provider of wireless tracking and recovery systems for mobile assets, and the leader in global stolen vehicle recovery. Report to the Western Regional Director and serve as a member of the National Operations Planning Team. Manage all 3rd party contractors and dealers (630) that install and service LoJack products and 14 field account reps who are the direct contacts. Prior to downsizing managed up to 48 technical and supervisory personnel. First manager hired in the region with a college degree. Manage $4.5M budget for all field operations. Maintained employee morale and productivity while leading team through two (2008 & 2009) restructurings reducing workforce by 20%. Influenced national change in payroll procedures by designing an improved payroll sheet that included metrics on field employee performance. Assisted in the implementation and coordination of CRM programs to manage outside vendors which lead to a new project initiative on Field Interface Technology (FIT). Fast Track Career at LoJack: Field Manager - Southern California, Arizona, Northern California, Reno & Pacific Northwest, Sept 07- May 09; Field Manager - Southern California / Arizona, Mar 07-May 08; Field Manager - Southern California, Jan 06-May 09 Scheduling / Dispatch Manager, Jan 06-Mar 07.